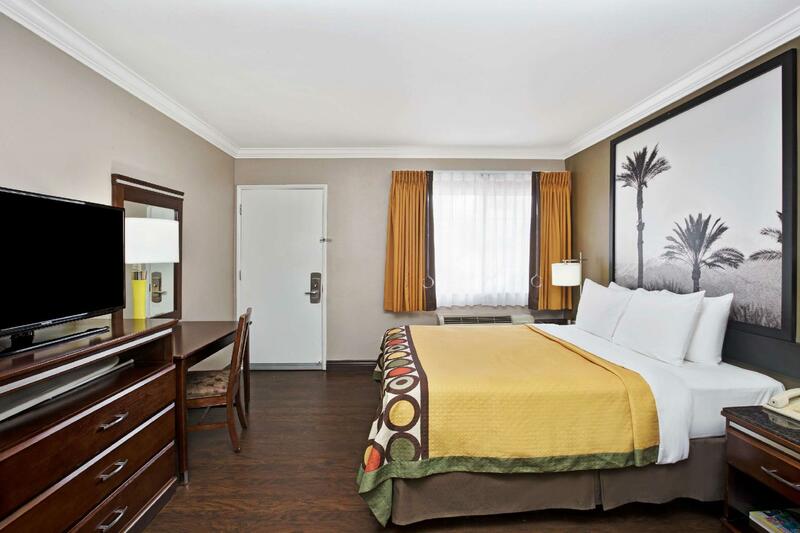 Super 8 in Culver City had what we had come to expect from a Wyndham property: clean, spacious rooms and friendly staff. The location is reasonable; close to bus stops but getting around using the bus can take a while. The nearby intersection adds to the time required to get anywhere, as you need to cross 4 different streets to get to the other side of the road. We had a toilet back-up one morning. When I called the front-desk to help or send someone from maintenance, the housekeeping lady just handed me a plunger. It did the trick but expected someone from the property to assist. Quite pricey for what you get, but still cheaper than many other places in LA. Location and WIFI is good. Breakfast is provided also. Needed more pillows for a king size bed. The bed wasn't comfortable. This hotel is just what we wanted. Clean, quiet, reasonably priced, courteous staff, good location near our primary target...the Getty Museum. Certainly not a luxury hotel, but a very nice place for a couple of nights near our destination. 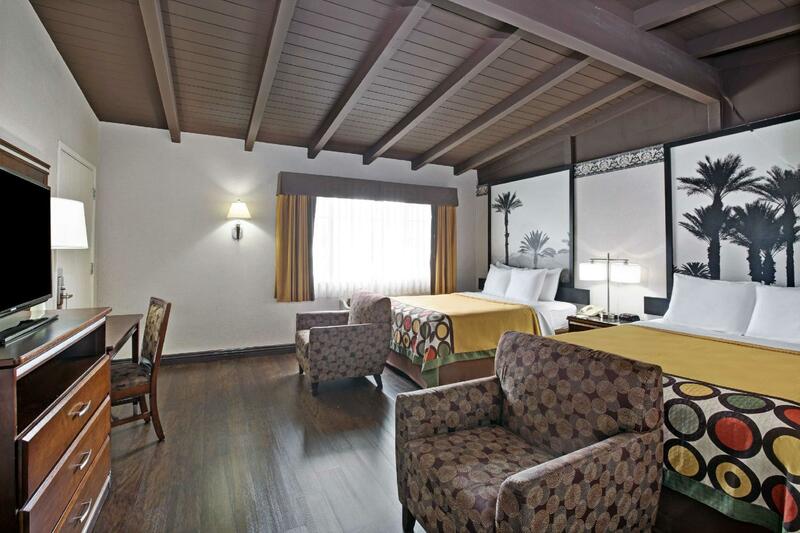 It was really clean and everything in the rooms was either well maintained or relatively new. The showers were great. Hot water real fast! The bed was comfortable and the pillows did not smell like sweat. Being an avid traveler and after being in so many high end and lower end hotels, this is now one of my favorites. It's a great place to stay, especially if you're out and about the whole day and want somewhere comfortable to sleep and shower. Will stay again in the future! 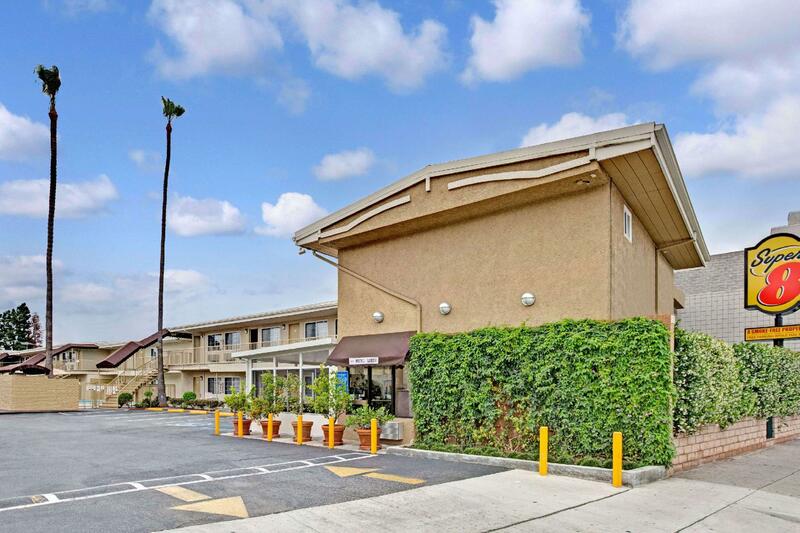 The hotel was a perfect base for exploring LA that was great value for money. Free parking & breakfast were a bonus as were the big, clean rooms with huge, comfortable beds. The pool was great too for having a few hours in between seeing the sights to soak up the sun. Would recommend for anyone who wants a good, clean, safe base in a handy area at a great price. There was no fan in the bathroom, and the window in the bathroom had a rotten smell coming from outside. The motel and room were quiet and peaceful, an oasis from the neighborhood, which was commercial in nature. WiFi and cable TV were very good. The room was extremely clean and well furnished. I would stay there again if given the chance. OK... Overpriced for the area...Stay OK.. Only use the shower/bathroom, & bed.. This is a well located hotel with a little swimming pool. 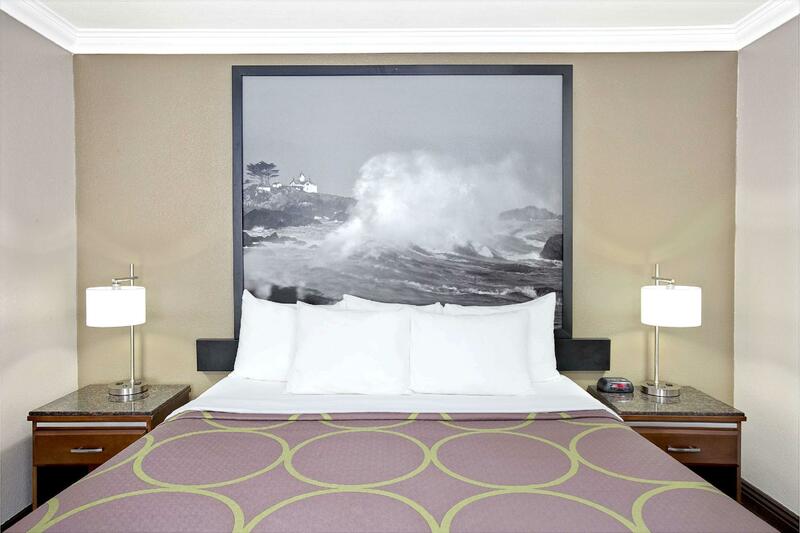 The rooms are big, clean and the beds are comfortables. Employee are not very welcoming. It was a nice and cheap hotel. 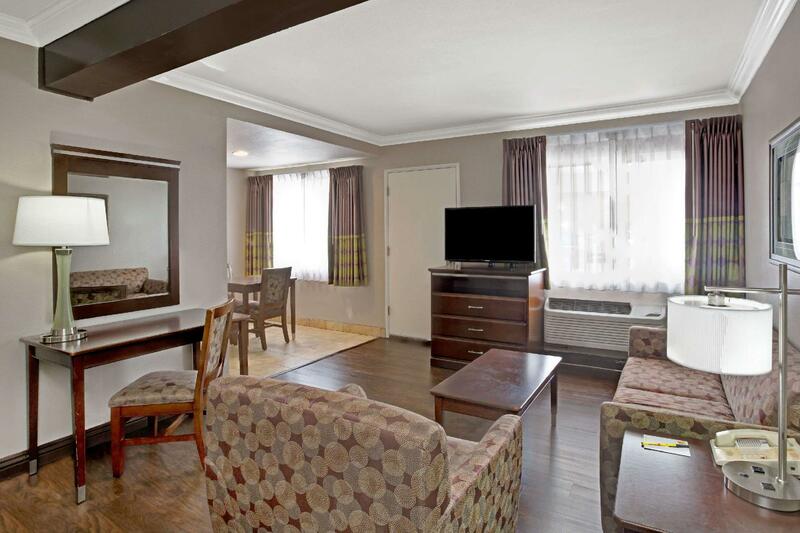 Its is a motel style facility, rooms are basic but clean and everything works as expected. Breakfast was great as hotel provides self service waffle cooker. You can make it if you want and eat hot. Simple but nice touch.